The Ticket Top 10 is your audio safety net. 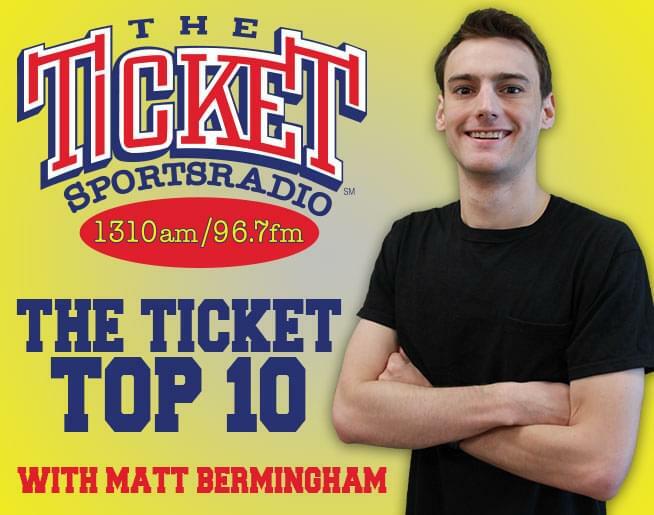 Curated and hosted by Matt Bermingham, The Top 10 is a replay, regurgitation and review of the station’s best Hot Sports Opinion Discussions, hilarious funny bits and wheels-off-the-cuff moments that you may have missed the first time around. Or maybe they were so nice, you want to hear them twice, and that’s what the Ticket Top 10 is for. It’s our best of the best from the broadcast day from your favorite Ticket shows and hosts.